Valentine’s Day may be just another day in your life. But, sometimes you need that reminder to express your emotions of love, friendship, and affection. Of course, these emotions should be shown every day, but in our daily hustle, a small reminder helps us remember to treasure those special folks in our life. 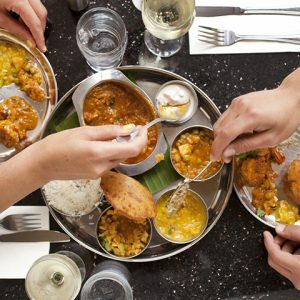 Instead of flocking to the restaurants that are always packed on this occasion, you can enjoy a nice 3-course meal at home with your sweetheart. If you are looking for inspirations, we have put together two different 3-course menus for you to pick from. Most of these recipes are simple to prepare, and you can make them ahead of time so you don’t have to waste all of the Valentine’s Day cooking. Each menu is made up of an appetizer, main course (entrée), and dessert. Start off your meal with a gorgeous Cheese Tikka Croissant loaded with paneer, green chilies, and spices. It is an easy, lip-smacking recipe that lets your beau think you’re flattering them. 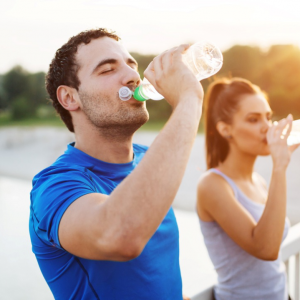 Psst…just don’t share the secret! It’s a day to revel in all the compliments coming your way. A little mix of the paneer and spices, scooping the contents of the croissant buns and filling it with the masala, placing the top, and adding some butter before you place them in the oven for the most lip-smacking croissants you’ve ever prepared at home! As a main course, enjoy the sweet and tangy notes of chicken combined with a flavorful herb rice. 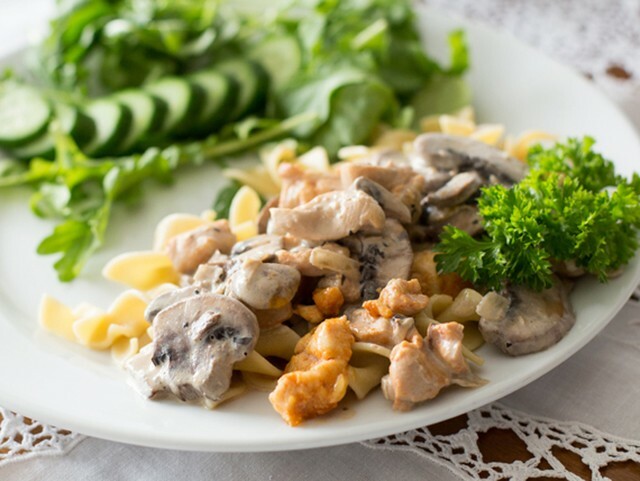 Chicken Stroganoff Supreme is velvety and filling, loaded with aromatic and juicy chicken. This easy dinner recipe can be prepared in just 30 minutes. A winner, that’s hearty and extremely flavorful makes it fantastic pick for a very special occassion. The aromatic herb rice is stir fried in butter, garlic, and dried herbs and is extremely versatile where you can add mushrooms or any other veggies like chopped spinach, zucchini, or capsicum to add flavor to this stroganoff recipe. 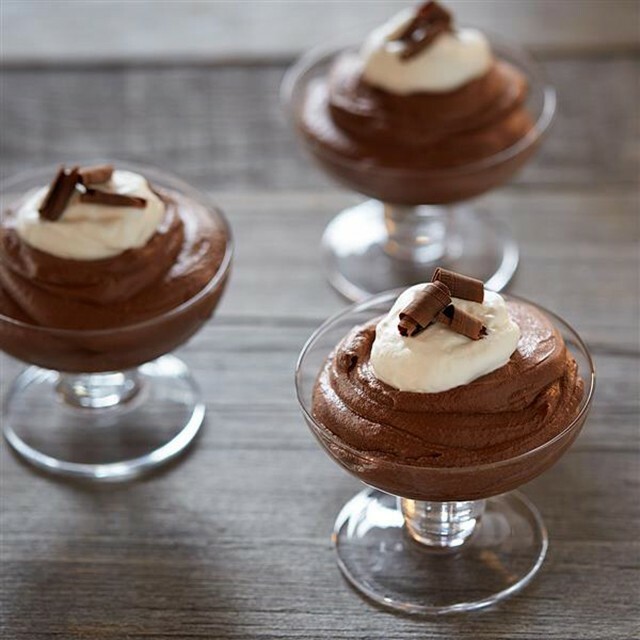 End your date night with a super-easy dessert : Mocha Mousse. This creamy, smooth, fluffy texture, combined with a luscious chocolate bar makes it an instant hit. It is made with instant chocolates, strong coffee, cold milk, whipping cream, sugar, and vanilla extract. This dessert can be relished plain or combined with any of your personal favorite toppings like Choco chips, strawberries, or shredded coconut. 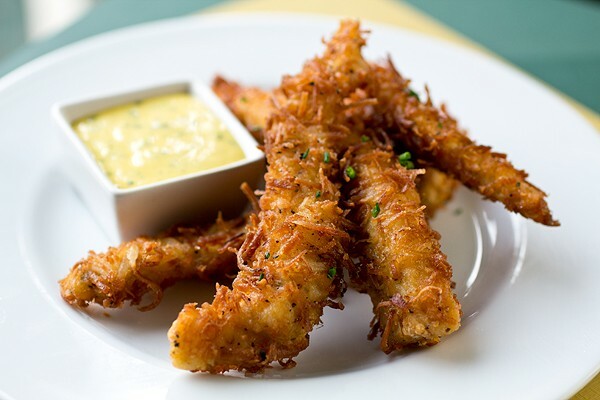 Start the date night with some fried Coconut Chicken Fingers. This yummy chicken recipe will save you plenty of effort and time on Valentine’s Day. It’s an amazing homemade recipe, that doesn’t take much time for preparation once it is marinated overnight. It includes simple ingredients like chicken breasts, coconut cream, egg, pineapple juice, maida, grated coconut, and spices. Your partner will surely love the sweetness that the coconut adds to this chicken fingers. Pair it with a sweet and hot garlic sauce and you have a finger-licking winner. 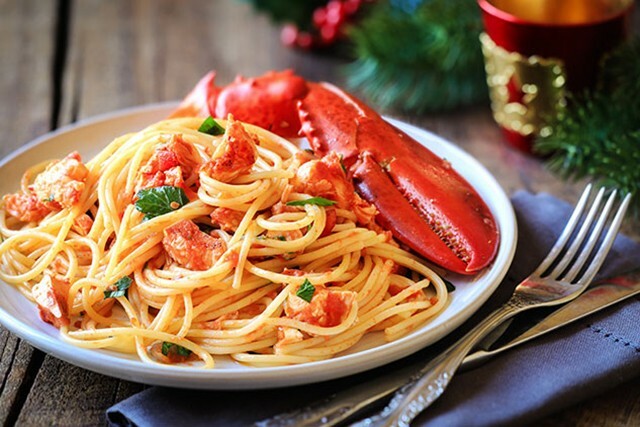 For the main course, savor mouth-watering Spicy Lobster Pasta. What can go wrong with some flavor-packed pasta and seafood. Made with lobster meat, spaghetti pasta, butter, olive oil, and veggies, this pasta recipe is well worth your efforts. 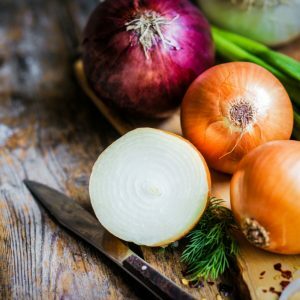 It can be made quickly as the much of the prep can be done ahead. The sauce (made with onions and tomato) is rich with the flavor of lobster, balanced with a good kick of pepper powder and red chili flakes. The sweetness of the lobster, combined with pasta, and tangy tomato sauce makes for the ultimate comfort dish. End your meal with a frozen treat, Eggless Lemon Souffle prepared with agar agar (China Grass), water, lemon juice, cream and sugar. 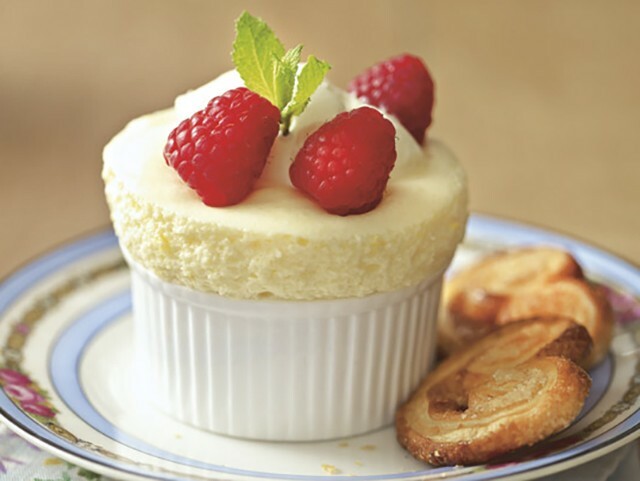 You can make this creamy and smooth lemony dessert without using the eggs. It is easier to make than it appears. Just don’t share the secret all too soon! Like we said before, revel in the compliments and praises until a few days later when you can show them how easy it was to make. 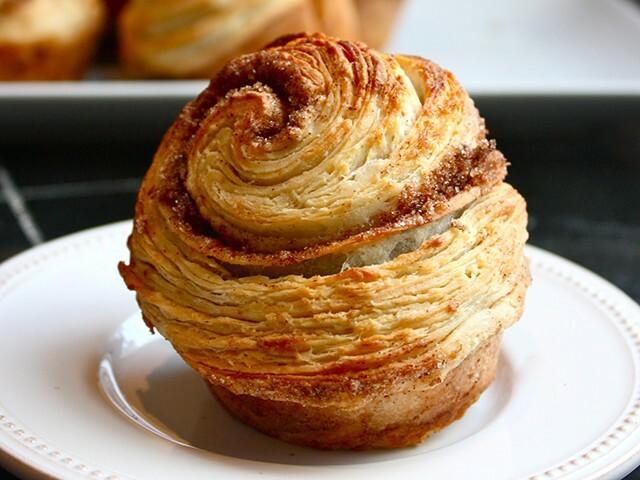 This quick and captivating dessert is a perfect ending to a fantastic date night. After tasting this sweet dessert, you’ll want nothing more than to enjoy each other’s presence. Which 3 course menu idea are you planning on making for your Valentine’s Day dinner? Finish the day off with some light music and candles, some champagne or mocktails, and enjoy your lovely date! 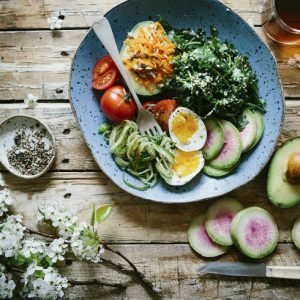 Feel free to comment or share your thoughts on this "3 Course Menu Ideas to Impress Your Valentine" article from Awesome Cuisine.